INDUSTRY.co.id - Jakarta - The Ministry of National Development Planning / Bappenas targets a sharia economic roadmap to be completed by the end of this year. 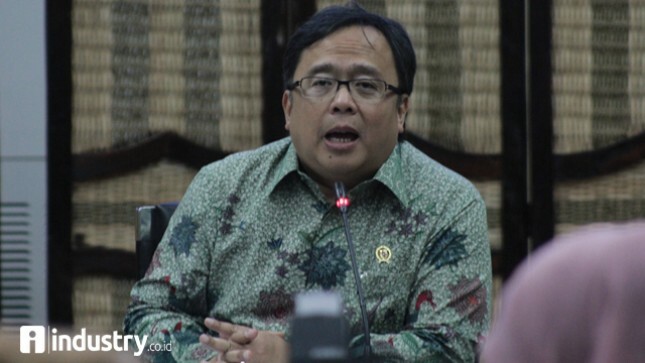 The Minister of National Development Planning / Head of Bappenas Bambang Brodjonegoro said the sharia economic road map would focus on developing the domestic halal industry as a whole. "We want to complete it as soon as possible, hopefully by the end of this year there will be, so that next year the development of halal industry development is more coordinated and clearer in direction," Bambang said in Jakarta on Wednesday (09/19/2018). According to Bambang, the development of the halal industry in Indonesia is still running independently. He wants Indonesia to have a strategy in developing the potential of a large halal industry in the country, so that Indonesia is not only the biggest market, but also a significant producer. In addition, he considered one of the shortcomings in the domestic halal industry namely production capability, especially manufacturing. "Because we are strong in halal tourism, it is a service. But the 'product-based' halal industry is not too strong," Bambang said. The Islamic economic roadmap itself is an extension of the Islamic financial road map by the National Islamic Finance Committee (KNKS), which is directly led by the President. Head of Bappenas itself as Secretary of the KNKS. One of the objectives of compiling the Islamic economic roadmap is so that there are parties who take care of the halal industry, so that it does not move independently. Cooperation between regulators and business actors, as well as being linked to an existing legal guarantee body, is very necessary.